Gone are the days when only women went to beauty salons to be looked after and have their hair styled. 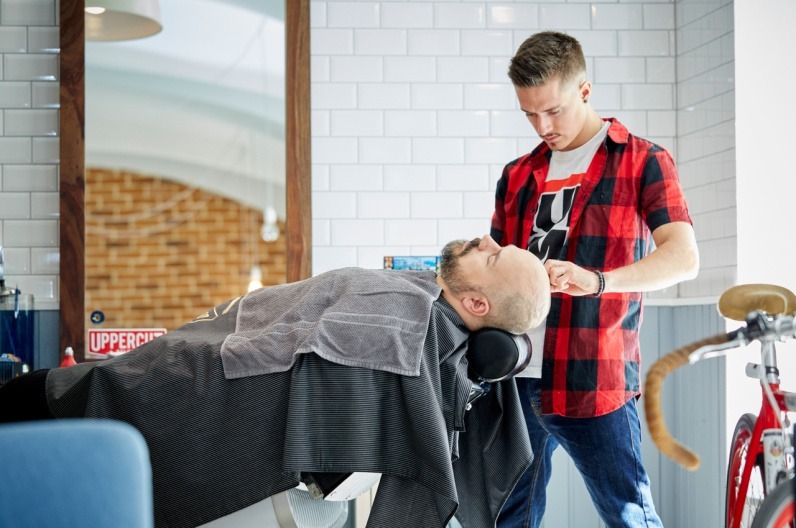 The resurgence of beards has meant that men are now also increasingly visiting special salons designed to look after their well-being – something at which barbershops have a long tradition. 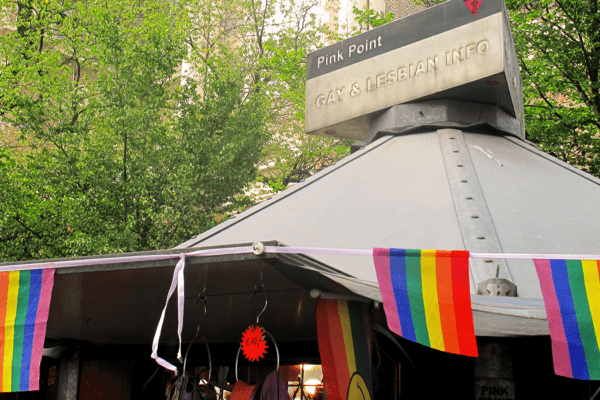 Just a few decades ago they served as a meeting point for men. The barbershop was more than just a barber: it was also place where a man could be a man, and during a visit not only receive a presentable haircut and shave but also enjoy interesting conversation with like-minded people and perhaps even gain some new friends, all with a glass of whisky in hand. A few such barbershops found in Meininger cities are presented here. 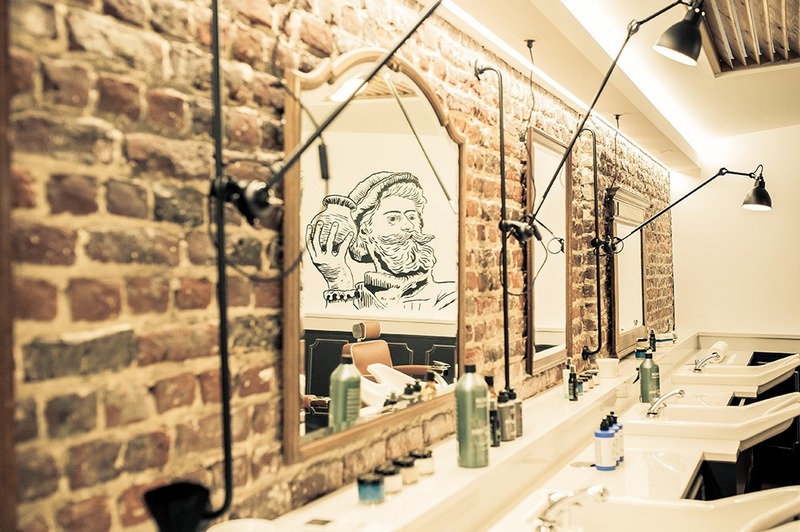 This small but perfectly formed salon run by brothers Hussein and Raed Seif is located in the centre of what is currently one of Berlin’s hippest districts, Neukölln. 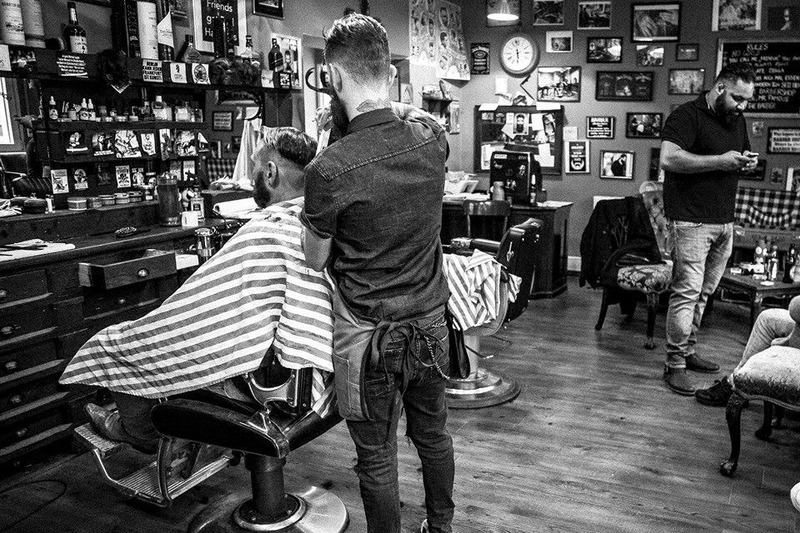 Its two barbers, who learned their trade in the orient and perfected it on travels across the world, are committed to taking good care of their customers’ hair and beards, occasionally accompanied by gentlemanlike packing and smoking of pipes. 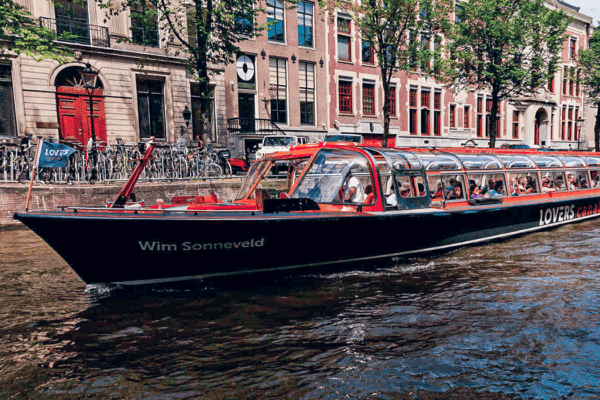 The premises are furnished with all kinds of antique furniture and other curiosities, collected on numerous weekends spent lovingly trawling Germany’s flea markets. Kücük Istanbul barbershop can be easily reached via subway line U8 to Boddinstraße station or U7 to Karl-Marx-Straße station. 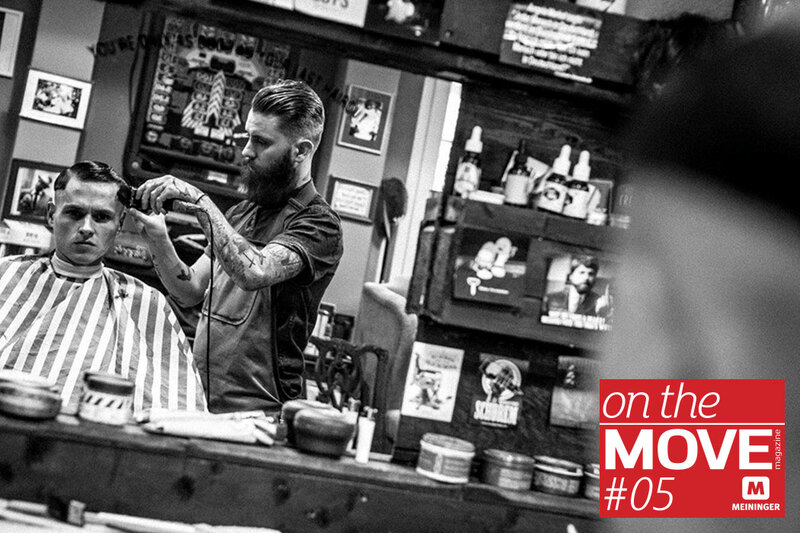 Alex Torreto, the owner of the Torreto Barbershop in Frankfurt am Main as well as of an impressive full beard, was introduced to the barbershop tradition as a small child with his grandfather in Greece. He has been fascinated with them ever since, and in 2014 opened his salon devoted exclusively to men. 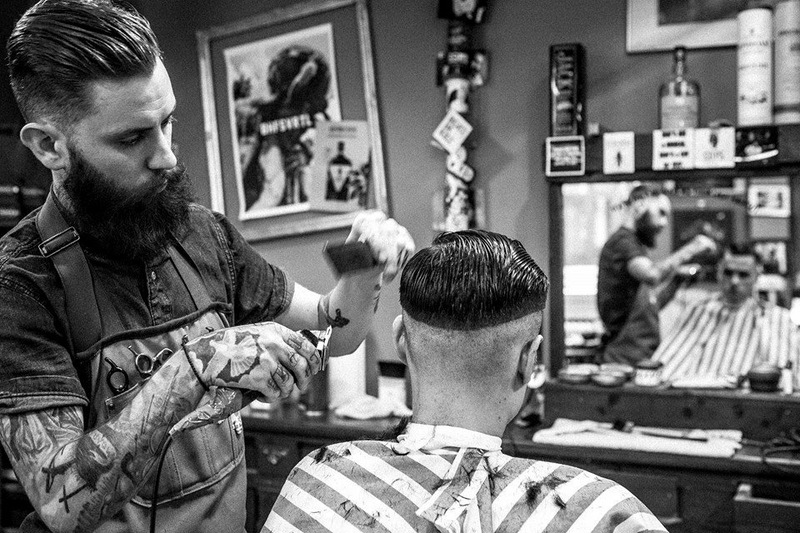 As well as home-made furniture and alcoholic drinks, visitors can expect a background soundtrack of hip-hop music and, of course, the barber’s very own skilful hands. 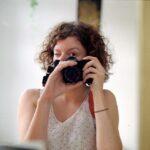 The shop is located in Bockenheim, Frankfurt’s most populous district. Tuesday to Friday visitors are asked to make appointments, but on Saturdays he runs a ‘first come first served’ operation. 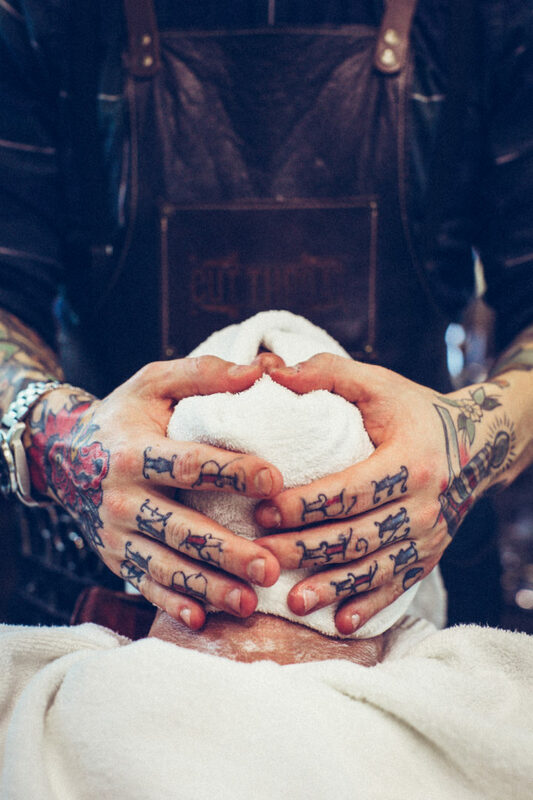 In the capital of the Netherlands, the boys of Cut Throat Barber & Coffee provide excellent haircuts and shaves as well as other creature comforts. In collaboration with Fraiche Hospitality, they offer a classic American brunch and dinner as well as hosting a coffee shop and cocktail bar open until late in the evening. 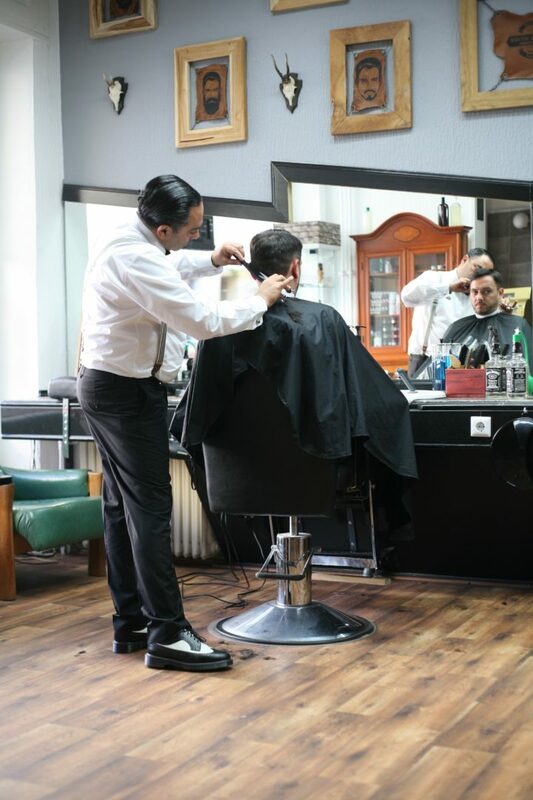 When the two proactive owners James Reichwein and Tom Satt opened their store in 2004, they were envisioning somewhere they would want to hang out themselves – something they have 100% achieved with their barbershop. 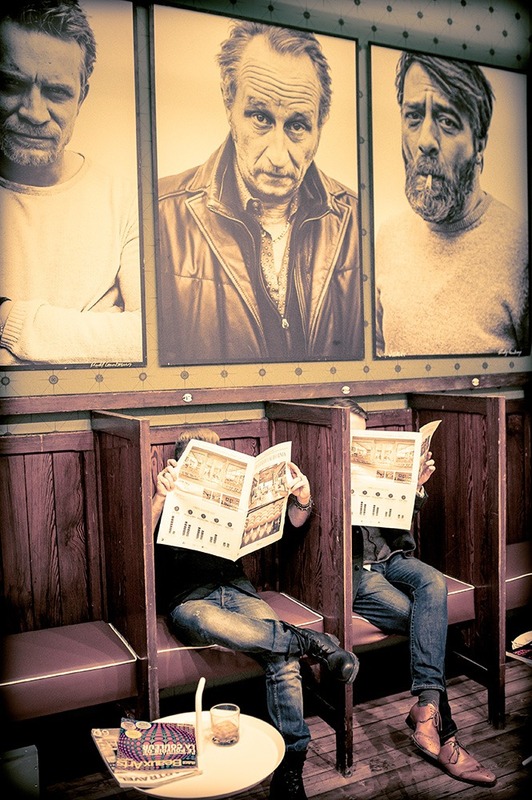 Since April 2015, the men of Vienna have had somewhere to get a stylish haircut and pampering: at Brother’s Barbershop on hip Neubaugasse, passionate barbers Arthur Brauner and Patrick Ridlmaier offer haircuts and shaves in the salon owned by the two brothers Ilya Sovtsov and Ivan Perevarin, who came to Vienna to study three years ago and thought that this type of shop was precisely what the city was missing. 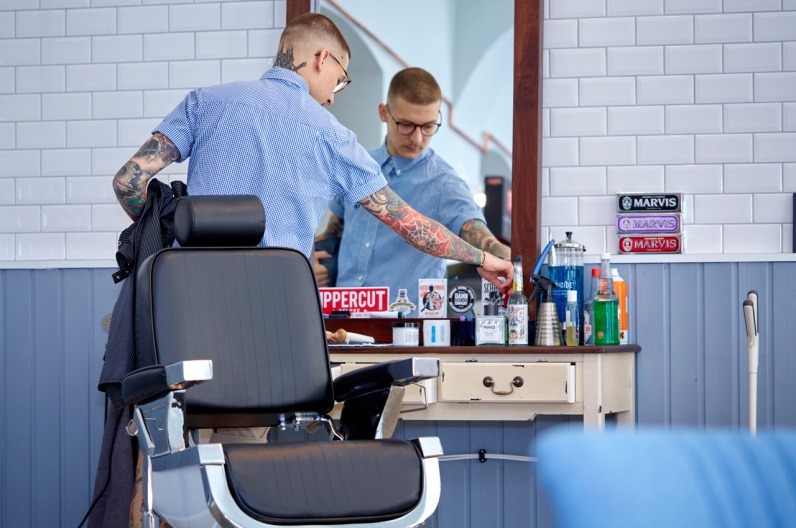 They clearly weren’t alone, as evidenced by the healthy demand for the barbershop’s traditional treatment with a sharp razor and warm compresses: visitors are strongly advised to make an appointment in advance. 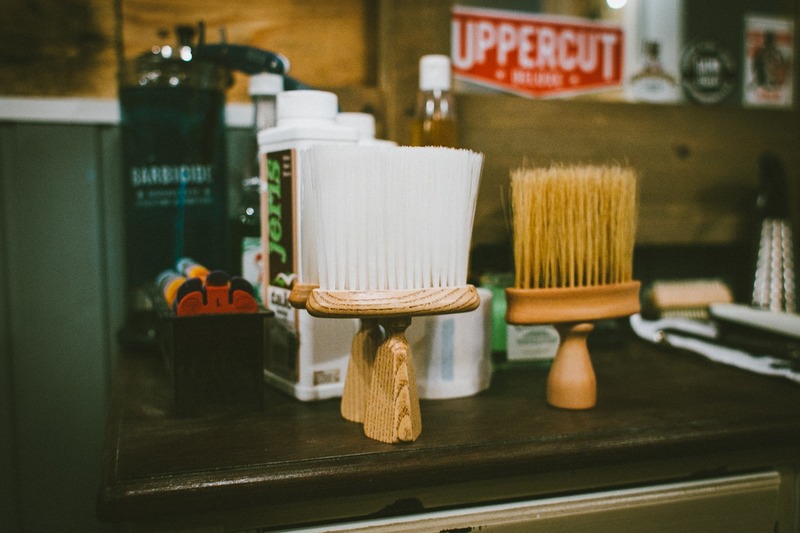 However, if you are next up, the process begins with a glass of whisky or a cup of excellent coffee amid the store’s vintage furniture and lasts for around an hour. 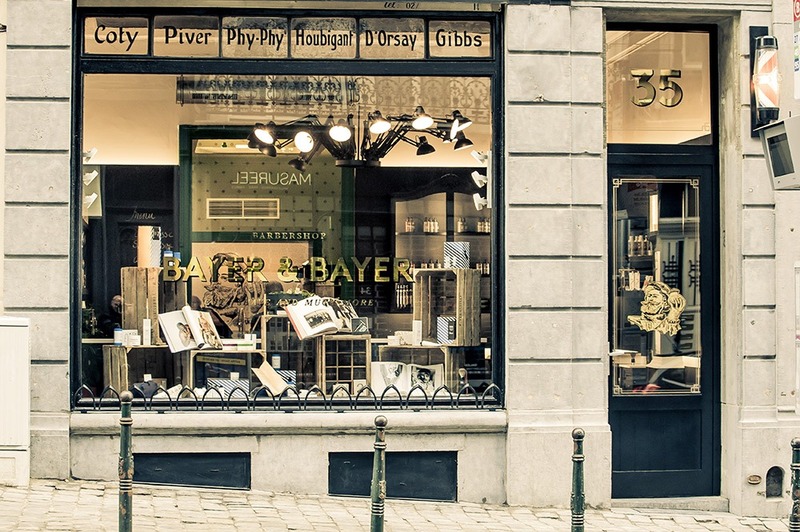 Anyone looking for a traditional shave or trendy haircut in Brussels would do well to visit the Bayer & Bayer barbershop in the city centre, run by brother-in-law and sister-in-law Nicolas and Olympia since 2015. Even the entrance is welcoming with carefully selected furnishings in 1950s style. 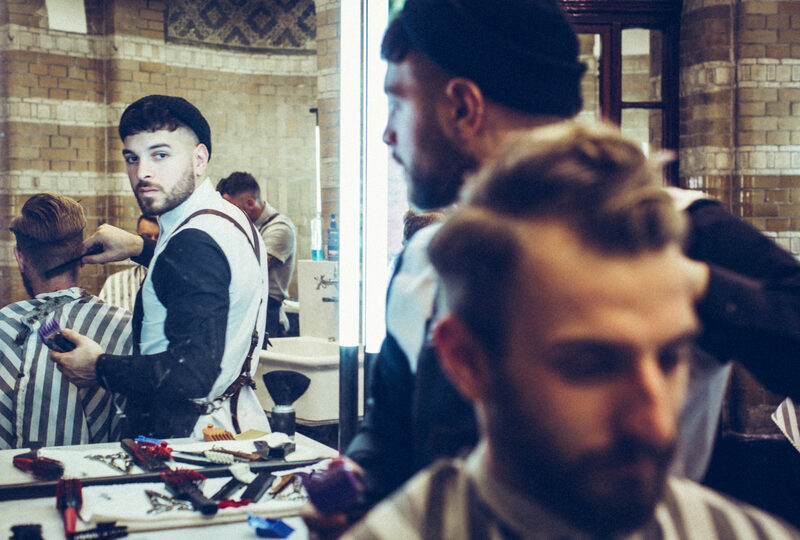 Waiting time is alleviated with a drink of whisky, lemonade or coffee, with the experienced hands of master hairdresser Olympia responsible for trimming beards and hair. Services also include a face massage to help you forget time and space.